I have always wanted to do a CAL (Crochet Along) but never took the time to do it for myself. At times it can seem a big investment of time to make a whole blanket for myself when I am always working on items for my online stores and presents for family – but working on one square at a time is totally do able. I found a CAL on Moogly that I am excited about. They are going to post one square every two weeks from January to November for a total of 24 squares. That leaves the whole month of December to assemble and border your blanket. When you break it down like that it seems completely doable. 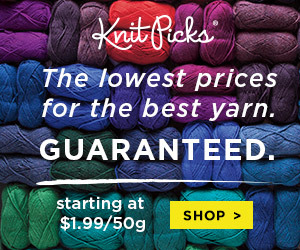 The square patterns are designed for worsted weight yarn and a J hook to yield a 12 inch square. Moogly has made this super easy with both Facebook and Ravelry groups just for this CAL where you can share photos and updates as well as get help if you get stuck. Below is the link for my posts on my progress, followed by a link to Moogly’s site for their pattern. If you click on the link for Square 1 it will show you all the guidelines for the CAL, and it also gives you links for the past few years CAL’s if you don’t like a square and want to make an alternate one in its place. Or if you want to make a whole blanket without waiting for the squares to be posted every two weeks. This is my year. I am going to do this. I am going to finish this. It will be awesome. Follow my progress every month and try it for yourself. My plan is to complete each square within 5 days of it being posted and have it posted here. Check out this page for links to my posts on my progress.